I created a dotty background using my 3x5 Gelli Plate and the ARTplorations Bubbles stencil, rotating it with each print layer. 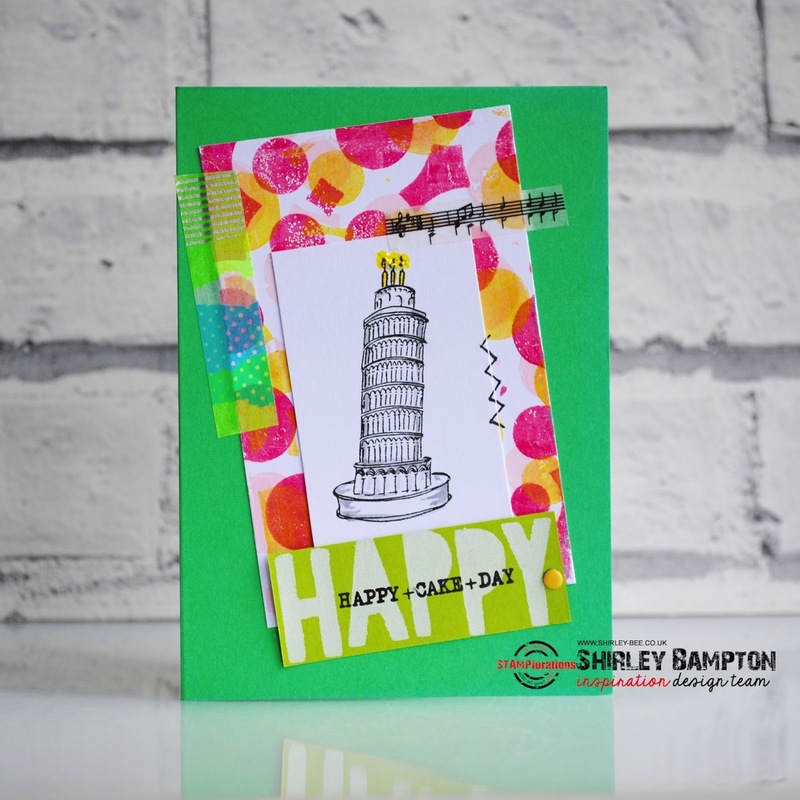 The image is from a new set that I've designed called World Birthday Cakes, which will be out soon :) This one's the Leaning Cake of Pisa. 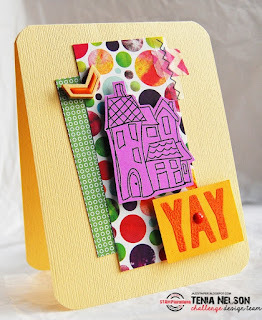 I've used a sentiment from the set with the ARTplorations Hello & Company stencil, and jazzed (!) the whole thing up with washi tape and doodled stitching. Fancy joining in with our little CASE? You could win prizes.... Click here for all the details and to join in the fun. Leaning cake of Pisa? Awesome! 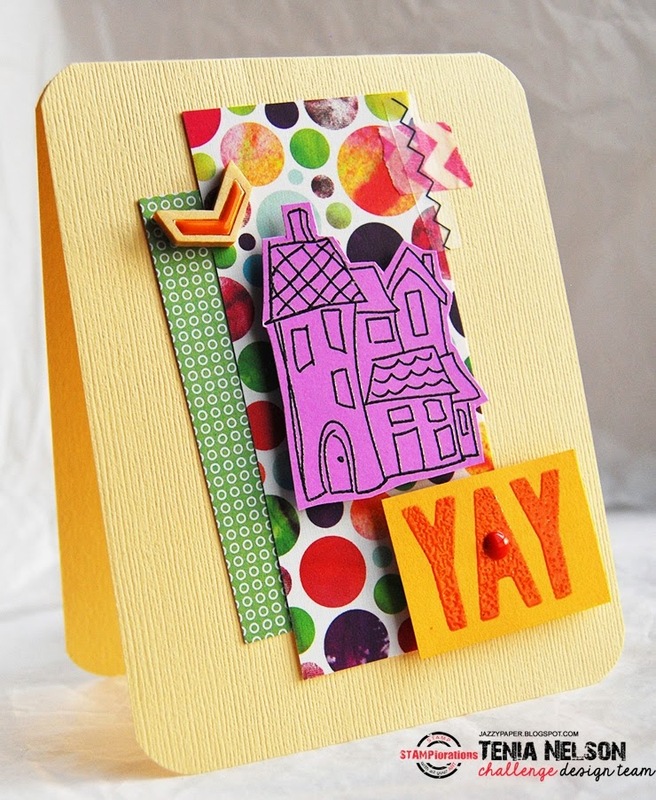 You've cas-ed Tenia's card marvelous, infusing it with your own touches! What can I say except LURVE it! A leaning tower of pizza b-day cake complete with candles! Love the fun of this image! ...reminds me of a cake that my Baba always made...she called it her topsy tumble cake...no idea why though ??? Super FUN CASE of Tenia's! That stamp set is just ueber cool!!!! LOVE what you did wit it!